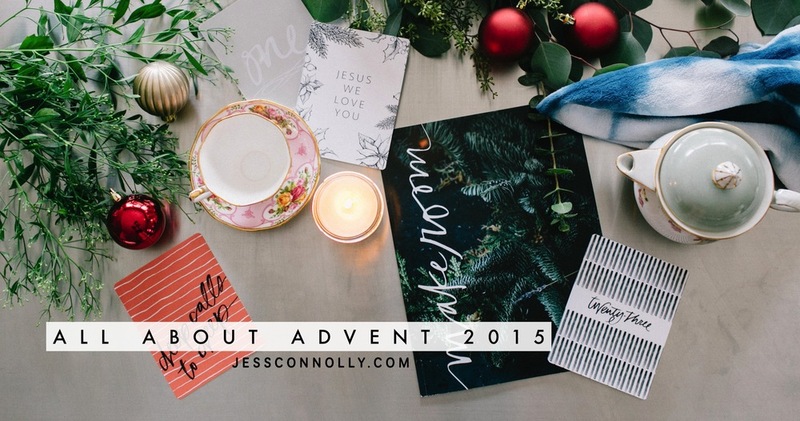 I can't believe it's creeping up on December 1st and I haven't shared anything about Advent here in this space yet! I hope you get a minute to watch the video above, but here's some more of the backstory below. I shared in the video above about being a tired mom of three on the tiniest budget ever, but I thought I'd take it back and get vulnerable for y'all. Here's the post I wrote all those years ago where you can actually see the very first Advent calendar we made. I didn't sell this one because I didn't have a shop, I just designed it and printed it at Kinkos. It seriously makes me smile to remember those days. Here's the post sharing the first Advent calendar we sold in 2011. Here's 2012. 2013. Annnnd 2014. Every year when we start selling Advent, we pull out all the past calendars and giggle over how unprofessional they were or how our taste has changed. And I think the temptation is there to feel a little insecure about how they look or what I used to think was an amazing product, but mostly I'm just so thankful to the Lord for this story. What started as me counting my quarters to print some cards at Kinkos has grown into a movement with thousands of families intentionally and creatively celebrating this season together. And that blesses my heart more than you could know. What does Make Room even mean? Nick and I were on our tenth anniversary vacation this summer, resting and talking and laughing, when I sat up straight and said "I KNOW WHAT WE'RE SUPPOSED TO DO FOR ADVENT THIS YEAR.' I felt like God just dump-trucked me the idea of making room and told me personally to make room for Him. My prayer behind these products this year is that God would actually give us a new song about Christmas. That we'd enter into this season with quieter hearts and we'd be telling a new story when it's all over. Not "oh Christmas came and went and it was crazy and I'm glad it's over" but, "We made room for the Lord. We fought to stay in His presence. We experienced more of Him and we're leaving Christmas changed." Making Room starts now. I really believe that if we're going to Make Room for the Lord this Advent season, it's going to take us getting intentional right now. Do you already feel it? The lists and the invites and the plans already piling up? It's no secret that I love periscope so I've decided to hop on periscope every day next week - Monday through Friday and talk a little about how I'm preparing to Make Room this Advent. You can find me at (jessaconnolly) on periscope! I'm excited to talk and connect. All that being said, the days are running by fast and you've only got until next Friday, November 20th to order your Naptime Diaries Advent products to insure on time delivery. We'll keep selling and shipping them as long as we have them in stock, but we can't guarantee delivery in time for December 1st unless you buy it before 5pm EST on the 20th. We would LOVE to have you join us and others this year as we seek to MAKE ROOM for Jesus.